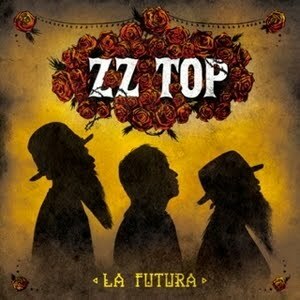 ZZ Top have announced a September 11 release date for “La Futura,” the band’s first new album in nine years. Produced by Rick Rubin and Billy F Gibbons, the band’s guitarist/singer, “La Futura” finds the group infusing the newly recorded work with the electric blues/roots approach that typified ZZ Top's earliest work while, at the same time, reaching for new sonic horizons. The project was primarily recorded at Foam Box Recordings in Houston, with additional work done at Shangri La Studios in Malibu, CA. The four songs that kick off the album, “I Gotsta Get Paid,” “Chartreuse,” “Consumption” and “Over You” debuted last month as “Texicali,” a digital preview collection exclusively available from iTunes that achieved significant critical and sales success. “I Gotsta Get Paid,” performed by the band in video spots for the Jeremiah Weed line of beverages, raised awareness of the song that was inspired by the 1990’s underground Houston rap song “25 Lighters” by DJ DMD with Lil’ Keke and Fat Pat. Also part of “La Futura” is “Flyin’ High.” The track made its interstellar debut when it was piped into the Soyuz spacecraft at the time of its launch to the International Space Station thirteen months ago. Before it was fully completed, the song was heard onboard at the request of NASA Astronaut Mike Fossum, a long-time ZZ Top fan and and band friend who had caught wind of it in an earlier conversation with Dusty Hill. ZZ Top is currently on an extensive tour of European concert halls and festivals that kicked off earlier this week at Moscow’s Crocus Hall with other dates in Russia, Finland, Sweden, Denmark, Belgium, France, Switzerland and Norway. The band will embark on a string of U.S. dates thereafter, highlighted by a rare New York appearance at The Beacon Theatre the day after the release of the album.